Square Stitch - Bead It! Top version uses three colors of 11/0 seed beads, the finished product feels like fabric. 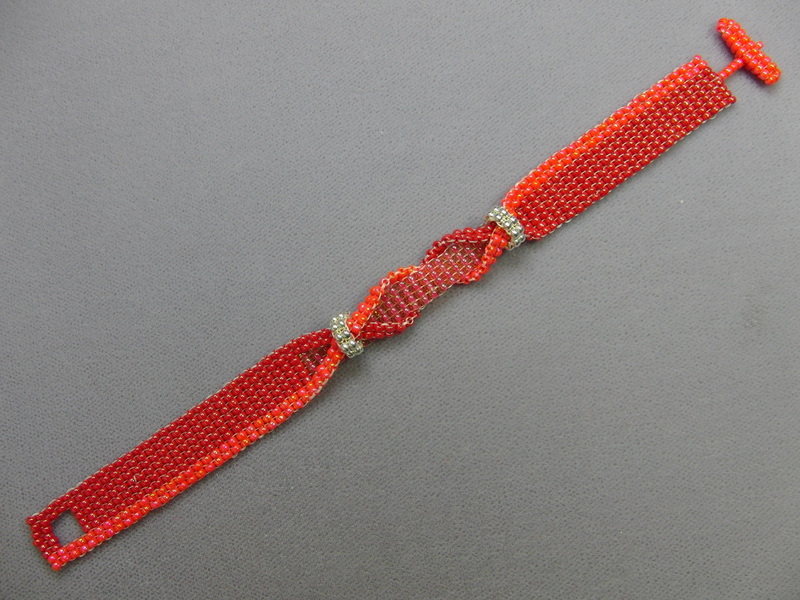 Bottom version uses freshwater pearls and 8/0 seed beads. 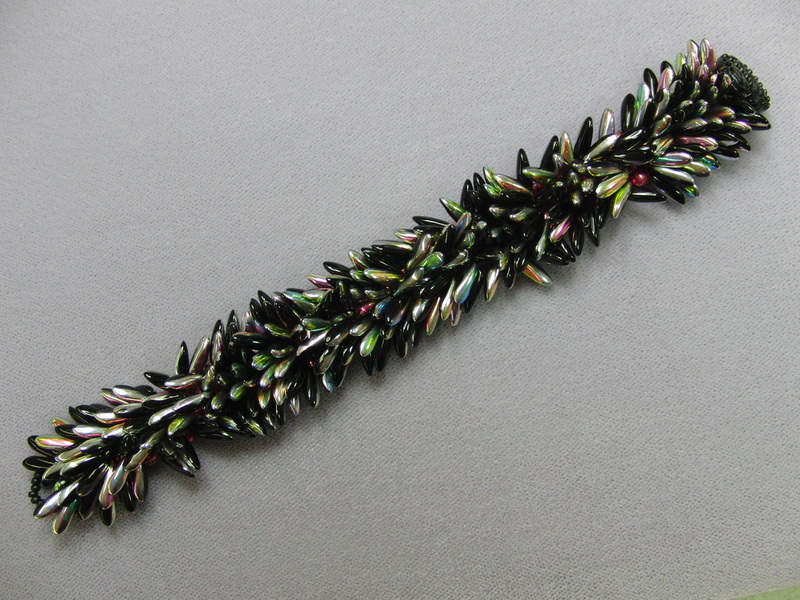 Once you learn the stitch, it is easy to vary beads and rows. It's also a great technique to create a button hole! We're using square stitch to create these plaid earrings! Can be extended for a bracelet! What a cube-tastic creation this is! 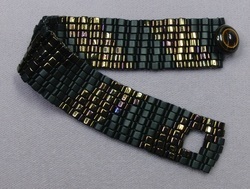 Using 2 sizes of cube beads learn square stitch and also how to increase and decrease! 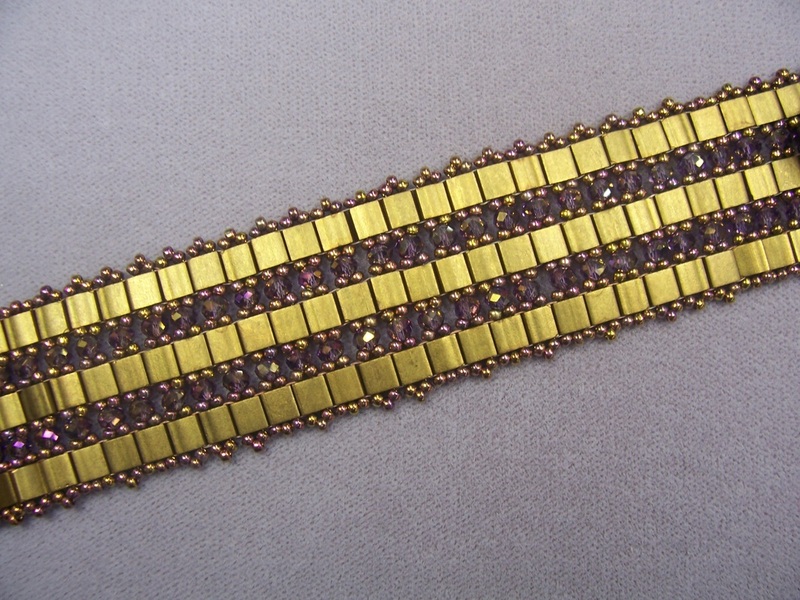 Use 8/0, 11/0, and 15/0 seed beads to create this undulating band. People come in and say it looks like "real jewelry," what? It is! We use freshwater pearls and 8/0 seed beads for this version. Triangles fit together to create a unique texture, we've used size 8/o Toho Triangles for this piece.